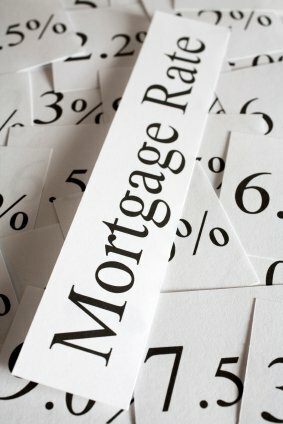 Dave The Mortgage Broker > Monday Morning Interest Rate Updates > How Will the New USMCA Trade Agreement Impact Canadian Mortgage Rates? Chapter 19 is preserved – Chapter 19 is a NAFTA dispute-resolution mechanism, which helps level the playing field between the trade partners when conflicts arise. It has been an effective tool for Canada, which has won more Chapter 19 cases than it has lost, particularly in disputes relating to softwood lumber. While Mexico had given up Chapter 19 in the revised bi-lateral deal it struck with the U.S., our negotiators made it clear that this was a hill they were willing to die on (and that stance had broad support throughout the Canadian population). Canada gives the U.S. and Mexico broader access to our dairy market– Our dairy market was in the U.S. crosshairs throughout these negotiations. Under NAFTA, U.S. farmers were allowed tariff free access to only about 1% of our dairy market, and under USMCA, that number increases to 3.59%. While that’s a significant bump in relative terms, it’s only a little above the level we granted to partners in two of our other recently negotiated trade agreements – the Comprehensive and Progressive Trans-Pacific Partnership (CPTPP) and the Comprehensive Economic and Trade Agreement (CETA). Tougher rules for automotive production – The new USMCA requires that at least 75% of an automobile’s components be manufactured in member countries in order for it to be exempt from tariffs, up from 62.5% in NAFTA. This will help push more production into North America. The new rules also require that 40% to 45% of the auto parts used must be made by workers earning at least $16 USD by the year 2023, which will reduce Mexico’s low-cost labour advantage. The U.S. also agreed to exempt Canada and Mexico from any future automotive tariffs enacted for national security reasons (under Section 232 of the U.S. Trade Expansion Act). The current U.S. steel and aluminum tariffs will remain in place and under discussion, but aside from that, the USMCA is a win for our automotive sector. Veto power over future trade agreements with non-market countries – Section 32.10 of the new USMCA was inserted very late in the negotiations. It allows each member country to pull out of the agreement if another partner signs a free-trade agreement with a “non-market country”. A non-market country is defined as one whose economy “does not operate on market principles of cost or pricing structures, so that sales of merchandise in such country do not reflect the fair value of the merchandise.” This clause was essentially designed to prevent Canada and/or Mexico from negotiating a free-trade agreement directly with China. Critics say that it abdicates control over Canada’s foreign policy to the U.S., while pragmatists note that Canada has spent the last four years trying to negotiate a trade deal directly with China to no avail and that piggybacking the U.S. on future Chinese trade negotiations is realistically the only way that we will get a fair deal done with that country. 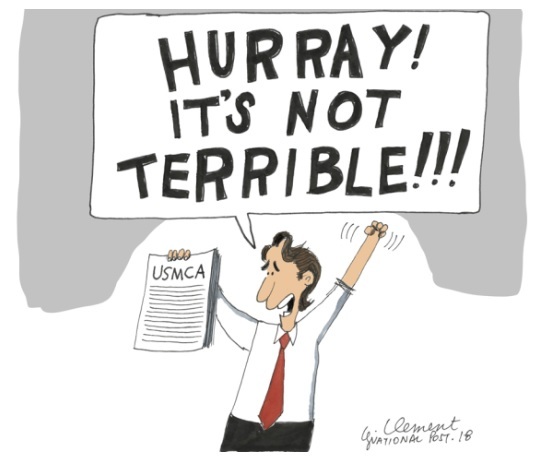 The key question for readers of this blog is what the new USMCA will mean for Canadian mortgage rates. Assuming that the American, Canadian and Mexican governments all ratify the agreement, the USMCA should remove the biggest impediment to our near-term economic momentum. Trade uncertainty has held back Canadian business investment over the past thirteen months. Over that period, multinational companies who operate on both sides of the border have tended to direct their incremental investment to their U.S. operations, and that money isn’t coming back. But other businesses who produce primarily in Canada are surely more confident about making incremental investment now that the future of Canada/U.S. trade is clearer. If we see a noticeable uptick in business investment, it will help fuel more GDP growth, and given where we are in the economic cycle, that could also push inflation higher. If that happens, the Bank of Canada (BoC) may be compelled to accelerate its rate-hike timetable. This outcome is largely now priced in to the five-year GoC bond yield (see 30-day chart below). With the USMCA now largely completed, the U.S. is set to focus its trade-war guns squarely on China. If the tariff battle between the world’s two largest economies intensifies, it has the potential to destabilize the global economy (and Canadian economic momentum closely tracks global economic momentum). I think the BoC will still be citing trade uncertainty risks as a reason for caution in its policy statements for some time yet. The BoC has repeatedly said that it will be “guided by the incoming data”, and to that end, recent releases have shown some slowing momentum. For example, our most recent employment data confirmed slowing momentum, particularly in full time jobs, wage growth, and hours worked, and those factors portend slowing GDP growth in the third quarter. The U.S. federal government’s recent tax cuts and aggressive stimulus spending have forced the U.S Federal Reserve to hike its policy rate precipitously. I continue to believe that the Fed’s aggressive monetary-policy tightening will tip the U.S. economy into recession at some point over the near-to-medium term (which I wrote about in detail here), and if/when that happens, rates on both sides of the border will fall. The Bottom Line: The announcement of the new USMCA agreement buoyed our bond market, and our fixed mortgage rates moved higher as a result. The momentum arrow for mortgage rates is pointing up over the near term, and against that backdrop, anyone who is in the market for a mortgage is well advised to secure a pre-approval. Over the longer term, I think the risk of a U.S. recession rises with every Fed rate hike and if/when that comes to fruition, our rates should then fall back down.